Each year, the Sustainable Forestry Initiative® (SFI®) recognizes one of its state/provincial SFI Implementation Committees for exemplary performance in promoting responsible forestry and for member participation, community engagement and partnerships. The proud winner of the 2016 SFI Implementation Committee (SIC) Achievement Award is the Central Canada SFI Implementation Committee (CCSIC), led by our own Mike Maxfield, Ontario Certification Superintendent and Chair of the CCSIC. 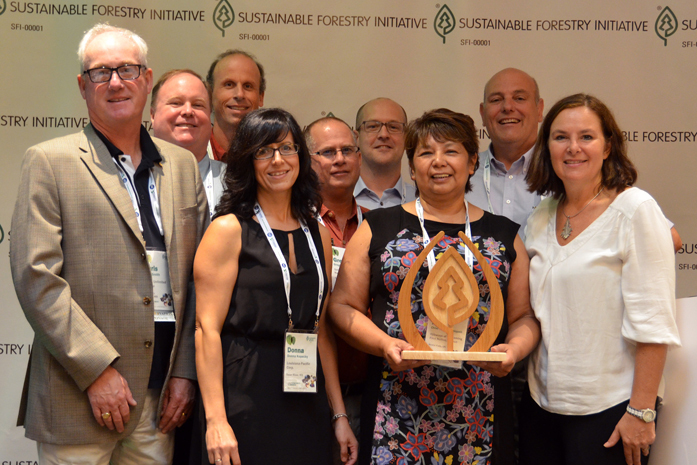 This is the first Canadian committee to win the award, an extraordinary achievement given the competition involves 34 SFI Implementation Committees across North America. The CCSIC is represented by SFI certificate holders across Ontario and Manitoba, crosses two time zones, and represents a combined area the size of continental Europe. The CCSIC was recognized for the diverse range of partnerships it is establishing and the numerous memorandums of understanding it has signed with supporters that include government, non-governmental organizations (NGOs), universities, Aboriginal groups and industry. It was also recognized for the development of field tools and training on best management practices for forest workers – 1,270 to date – who have met the requirements of a Qualified Logging Professional (QLP). Driving this success is, in part, the committee’s partnership with Lakehead University in Thunder Bay (Ontario), which is putting the QLP training modules online to increase the accessibility of continuing education for forest workers and forestry students. 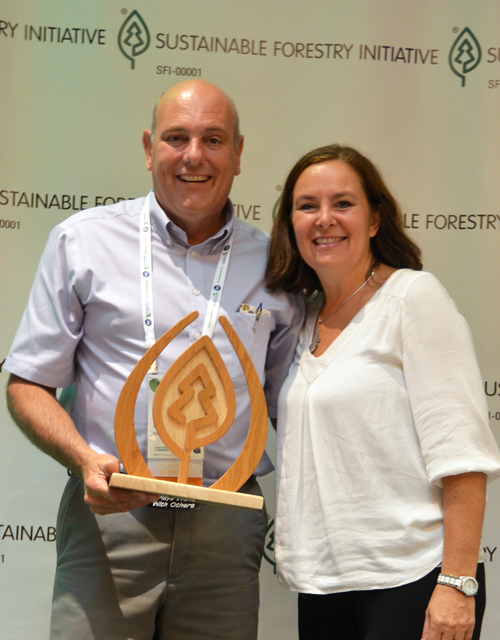 To learn more about Resolute’s commitment to maintaining 100% certification of the woodlands we manage to internationally recognized standards, like SFI, visit the Forest Certification section of our corporate website.